Burj Al-Luqluq Social Center Society celebrated on Thursday, 23\02\2017, the closing ceremony of Live the Burj project funded by the Arab Development Fund through the Islamic Bank for Development and supervised by the Welfare Association. The ceremony took place at Al-Quds University – Hind Al-Husseini College with the participation of more than 250 male and female Jerusalemite participants who participated in photography, leadership, football, handball, Taekwondo, parkour and the Young Guide 2 programs. Adnan Al-Husseini, the Governor of Jerusalem, attended the ceremony, alongside with Sheikh Ikrema Sabri, Father Atallah Hanna, Welfare Association Education Program Maanager, Alaa Al-Turshan, the representative of the Ministry of Education, Samir AL-Turman, the head of Jerusalemite sports club, Ahmad Surur, the member of the Palestinian Football Federation, Abdallah Al-Kisawani, the member of the higher committee against drugs, Issam Jweihan, the tourist guide Khalil Sabri, in addition to Burj Al-Luqluq staff and head of board, Naser Gaith, Muntaser Edkaidek, Nihad Zughaiyyer and the project coordinator Ahmad Jaber, in addition to the participants families and sports people. The ceremony started with a Boy Scout show as they played the Palestinian National anthem. This was followed by a speech from Burj Al-Luqluq Head of Board Members, Naser Gaith, who welcomed the audience and assured that Burj Al-Luqluq is a national Palestinian organization based in Jerusalem and works to serve the residents of Jerusalem. Moreover, “See Palestine” film was launched during the ceremony, it was followed by Dabkeh, Parkour and Taekwondo performances. 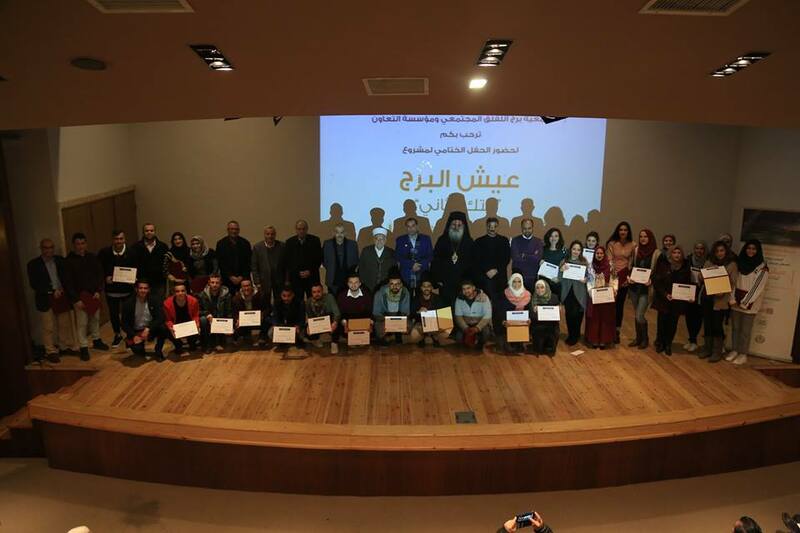 At the end of the ceremony, Live the Burj participants received certifications.